How many times can you take the SAT test? According to Collegeboard.org, “research shows that students generally see modest score increases upon taking the SAT test a second time,” which means that taking the SAT exam 2-3 times can result in improved scores. Many students feel anxious about taking multiple tests and worry about initial low scores being sent to colleges. While most colleges are mainly interested in the best scores, Collegeboard now has the Score Choice option. Score Choice allows one to choose which scores (by test date) to send to colleges. With this option, colleges will only receive the scores that the student sends them and the scores will not be released without consent. Keep in mind that if the student chooses not to use Score Choice, all scores will be sent automatically in each score report. Keep in mind, taking practice exams in an environment that closely resembles the actual test environment is related to improved performance. This is based on the concept of state-dependent learning which suggests studying in an environment similar to the test-taking setting will facilitate enhanced performance on the test. Memory is often improved, and the material is more easily retrieved when one is in a state similar to where they originally studied the information. The more practice one has in such a settings, the more likely they are to see improved performance. 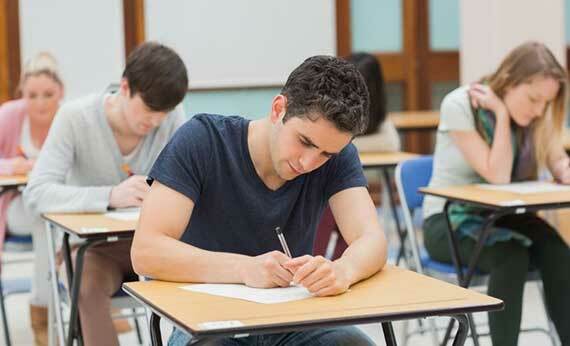 Are the students getting feedback after each exam, practice or otherwise? This critical feedback will ensure that the student will maximize their strengths and minimize their weaknesses. 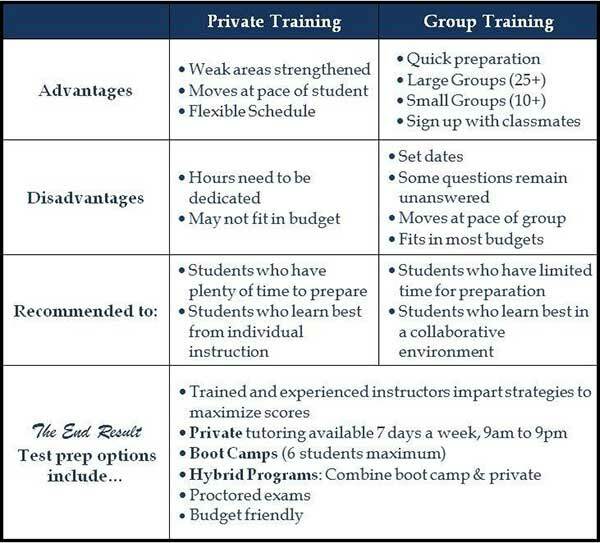 There are many different SAT/ACT training options. Consider these facts before you make your training decision.. 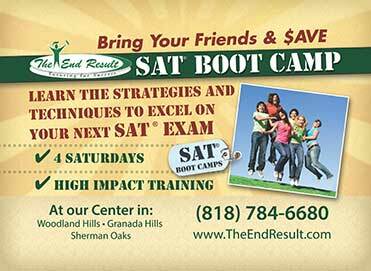 The End Result offers proctored exams, practice tests, BOOT CAMPS, and one-on-one tutoring for both the SAT and ACT. What is difference between SAT and ACT test?